When 5 million people dress up, magic happens! 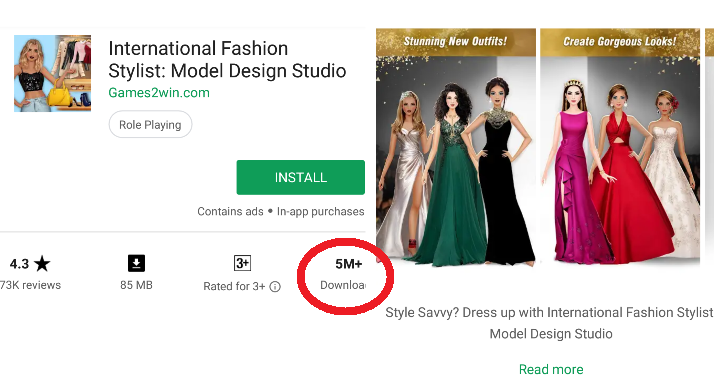 Our casual, dressup mobile game “International Fashion Stylist” just crossed 5 million downloads. This is what we learned! 2) Like the famous “Dal Bukhara”, we ‘cook’ our games sloooooooowly! If the Dal B takes 18 hours to make, we take 18 months. We are MVP personified. Constantly changing, tweaking, reiterating, updating. 3) We compete for the US market. It’s the fiercest, toughest, most demanding (& rewarding) market. We tell ourselves, “If we can win the USA, we can win the world”. 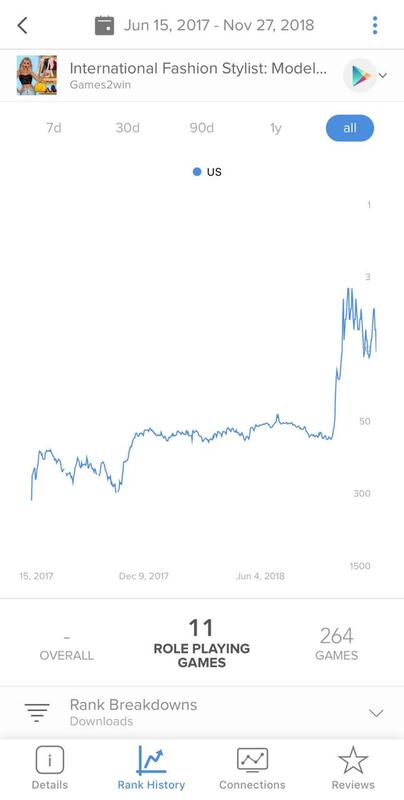 (See pic of this game’s slow rank growth in the US). 4) We aren’t geniuses to make a PUBG ‘YET’. Till then, we rely on street smartness & common sense. When did you see girls shying away from trying new clothes & going shopping? (boys are no better!) So, we make games around people’s passions – Dress Up, Cars, Sports. 5) We don’t want to become Big Overnight. We want to become GARGANTUAN taking our own sweet time.